Question: how to deal with man-made structures that have ceased to be man-used? Yao Jui-Chung’s “Ruins” Series Collateral Event of the 14th International Architecture Exhibition – La Biennale di Venezia Press Release “Architecture” is not just about construction. Every man-made structure bears the germ of its own destruction, of its becoming a ruin. Ruins are architecture’s “other” that is waiting within, bound to become “The Space that Remains”. 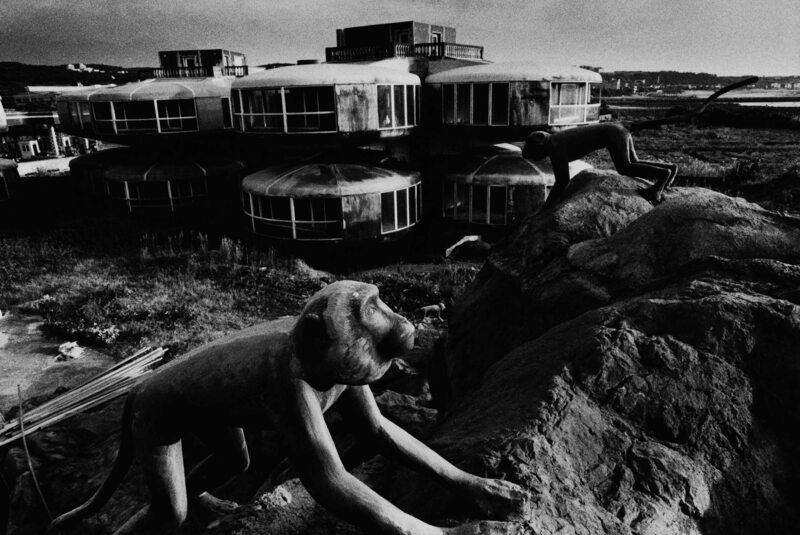 Yao Jui-Chung (1969 – ) has been in search of discarded, unused, and abandoned buildings all over his home country since the early 1990s. As a result, he has gathered a significant documentary archive of black and white photographs of Taiwanese ruins. All ruins are viewed from a personal point of view that is neither journalistic, nor documentary nor voyeuristic. Yet paradoxically, it is exactly from this random perspective that we experience a sense of closeness to these structures, becoming a reader ourselves, reflecting, intersubjectively, on the fate of the ruins and their past and future.